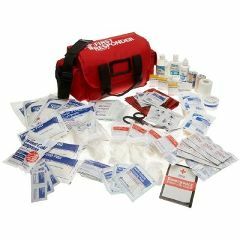 The First Responder Kit comes with a plethora of first aid accessories. 2- Multi Trauma Dressing 10"x30"
Safe. Easy To Use. Effective. Promotes Healing. Keep In The Trunk. Emergency Preparedness. Outdoor Activities. Medical Professional. Parent. CPR Trained. Your company is awesome! We are totally impressed with your customer service and products. We will definitely keep you in mind for ourselves and our friends when the help is needed. Our only concern on the return was missing the 30 day return window, and in the end, all it took was a phone call to get things rolling. We like to use email as it seems less demanding, but understand about the high volume.